We want to be good in social media to become better business. But we also need to be a better business first if we want to be successful in social media. What makes social technologies disruptive and success in social media elusive is the fact that social media in practice is not just about social media. For any social business programme to succeed, it has to be integrated with and supported by other business strategy drivers. Many times in the process of developing social and content strategy, I’ve had to go back to the client with basic questions regarding other components of their business strategy. Sometimes I get a ready answer, but often times, my questions actually open their eyes to the other areas or issues they have to address in order to effectively develop their social presence and implement their engagement strategy. Which business areas can shape your success in social media? Social media efforts are often times focused on the end product but not the end game. For example: making a video go viral, setting up a company blog, or getting thousands of fans, without mapping these activities to business objectives such as brand awareness, thought leadership, or community development. We have to ask ourselves what is the business outcome we want to achieve, and what is the outcome that we want social to cause? 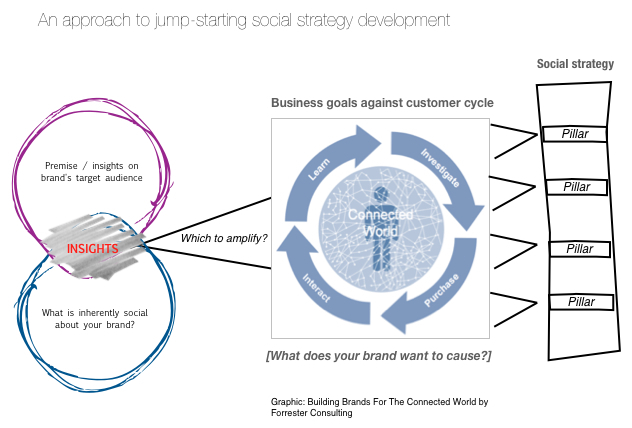 What is social’s role in our business roadmap? It’s essential to ask these questions and review our answers throughout the process of creating and implementing social strategy. The first step to social media success is developing your customer personas. They offer actionable insights that can be fed back into all aspects of your business. 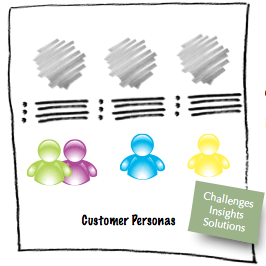 Customer personas are holistic profiles of target communication groups and target end-users. These are needed to create optimal user experiences, create the right type of marketing programs, offer the best type of content to the right kind of people, and other such activities that can be performed when we know our customer through and through. For example: while our end goal might be customer acquisition, there are many things that happen between first contact and the actual moment of conversion. How our online and social channels respond to users’ information needs before conversion will determine whether they do end up buying our product. It’s crucial to identify all target users for our online channels, and to segment them according to their motivations, needs and position in the customer journey. Research into these personas can be fed back not just into our social strategy, but also content planning, lead nurturing, website design, branding and product / service development. Who are our primary and secondary target groups? Primary target groups are those that directly impact business outcomes and those you want to target for regular engagement. Secondary groups are people who influence our primary targets, and thus, are also valuable to identify. What are their needs? What motivates them? What keeps them awake at night? Whom do they trust? What do they do and where do they converge online? What makes our business worthy of their attention? How will they benefit from us? Aside from a website, businesses nowadays also have social networks, microsites, mobile sites, and apps. How well are they designed to support desired user behaviour and business objectives? A user-centred design lets people experience a more seamless and integrated user journey along the different touchpoints with your business and decision-making stages. Good UX design makes calls-to-action (CTA) more effective and improves SEO initiatives. Is the information / content on our online and social channels designed for different user segments with varying motivations and information needs? This directly affects the kind of CTA we want to present, how to present it, and the corresponding offerings for each CTA. Does the copy adhere to SEO best practices (but at the same time, stays aligned with branding)? Surfacing easy-to-access engaging and valuable content; showing related content. Integrating social elements to make sharing (ridiculously) easy. Digital strategy and customer engagement are no longer inseparable to social and mobile strategy. Mobile searches have grown 400 percent since 2010, according to Google. Once you’re found by users on their phone, 59% of consumers visit, 61% call. Do we know how our customers are trying to connect with us on mobile and what their experiences are?Does our website have a mobile version or support a mobile responsive design? Do we have custom landing pages for mobile? Have we considered integrating mobile functionality, if not creating an app, for a promotion or campaign? Related post: Are you building a content machine or a content brand? Content marketing and lead nurturing require understanding the needs of your audience in different stages of the customer decision process. Lead nurturing is an essential part of content strategy/content marketing. To successfully find and connect with potential customers, we need to harmonise three things: customer segmentation + relevant content / offering + creation of touchpoints for sales. Lead nurturing (or what others call email marketing) is about understanding our leads’ timing and needs, and keeping in touch with them. How long will it typically take prospects to become leads and for leads to actually purchase something after the first inquiry? 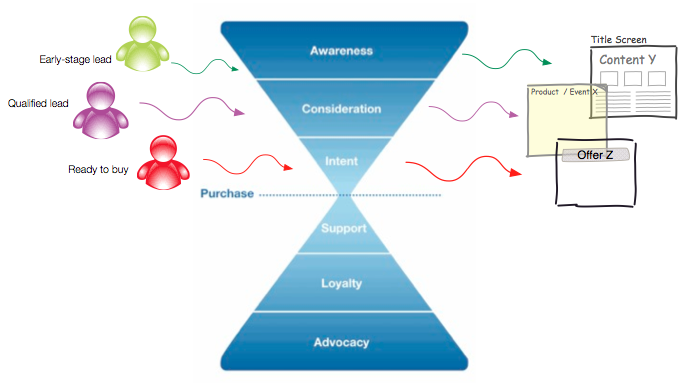 WIll the sales cycle vary for different types of purchases? Tip: Learn more about lead nurturing from these tutorials. Small business might think they don’t need a branding strategy (or a social strategy for that matter) but think again. Selecting choices about how we want to be perceived by our customers, how we want to shape their experience, and how we respond to the way our customers will reshape our brand — which is what strategy is all about — will help us say our message in a compelling way, and help us win our audience. Having a branding strategy helps settle inconsistencies for some of the most basic requirements such as choosing the URL or user name, right image for the profile photo, the color themes, tone of voice, and ‘about us’ info to be used on social networks. TIP: One of the best questions to ask when trying to determine how our brand will adopt to the social landscape is this: What is innately social about our brand and organisation? Take the answer and set it against the insights that arise from customer persona development to determine which message to amplify via social media. Make sure that message is reshaped into the appropriate conversations for every touchpoint in the customer decision journey. Being present in the social web is two-sided. It requires us going to where our customers are, and at the same time, leaving digital footprints that lead back to our landing pages and premium content. It’s important to rank high in search engines because such a position reflects not only popularity, but authority. The bottom-line: if Google can’t find our business, then no one will. Ultimately, SEO is about being found by the right kind of people by creating good quality content for the right kind people. We need to do our homework on SEO: keyword/term analysis that will be fed back to copywriting / content optimisation, design, calls-to-action, and other lead generation and nurturing efforts. Planning, creating, optimizing, promoting and engaging with content on topics that customers and target audiences care about is where modern SEO has evolved. This is why it’s another inseparable component of Content Marketing and Social Marketing. Ultimately, SEO is about being found by people by creating good quality content for people. 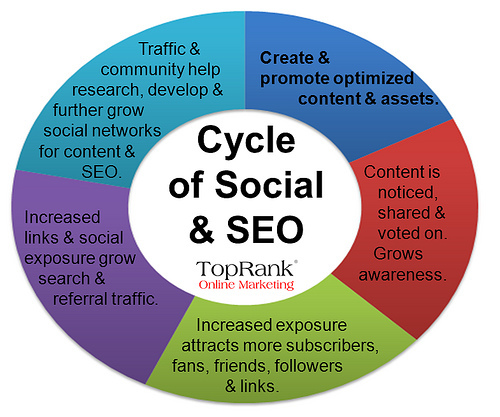 SEO shares the same goal with social: plan, create, optimise, promote topics that people care about. Analytics drives continuous improvement for the user experience of our prospects and customers. We need to create meaningful metrics around social business, content marketing, and the website that are tied to overall business and marketing goals. The challenge lies in integrating web analytics and social analytics to get a complete snapshot of the customer experience, and how well we have designed our online platforms. To really benefit from analytics, we need to level off on the goals and success criteria, get the tools in place, and be consistent with reporting. Establishing regular and custom reporting is needed to surface actionable insights. Creating a strong online and social presence is, in many ways, interlinked with offline activities or events. We should try to find opportunities for creating touchpoints for both on- and offline integration in the areas of content marketing, PR, and social. For example, how can current offline PR activities or event marketing can contribute to online content generation for our social networks — and vice versa. TIP: Event marketing is one avenue for integrating social with offline events. Learn the basics from this guide. Success in social media means being social inside-out. Large or small, our business must take the necessary steps to ensure that we are prepared as an organisation to carry out our social strategy. Not just from a resources point of view, but also from a culture and leadership one. One cannot be serious about becoming social without acknowledging the changes that need to happen to their organisations. Even small business and start-ups must strive towards at least one dedicated resource for social and content marketing and management (or consider hiring someone to help them build the foundations and jumpstart the process). Ideally, the very first step is to put our house in order before we develop social strategy. But for many of us who have already set sail and now questioning our course in the social ocean, or just need to jumpstart the social engine, here are some pointers to help us in our journey. What’s the social state of affairs in your organisation? Do a SWOT analysis with a focus on social. How are our social channels performing? Do a social media audit. What kind of content do we have, what do we need to produce and for whom? (See the section on content marketing above.) Do a content audit. Do we have the people with the right skills to initiate and manage social media efforts? How do our people feel about social in general? Do we foster a culture of sharing and participation in our organisation? For big companies – how does management feel about social? Are there people from the leadership who would champion our social media initiatives? Organisational readiness encompasses a lot more and deserves several separate posts, but in the meantime, I would recommend a review / audit of your social channels and content. Audits + Social SWOT will reveal a lot of low-hanging fruit and urgent issues, and give you insights on how to move forward. The future of customer, worker, and partner engagement is one that is fundamentally social, and business must strategically aim to evolve in this direction. How should we envision social media success in our business or organisation? Is it hitting a viral home run like Old Spice and Oreo, an avalanche of shares like Kony 2012, or winning awards? Are we more after clinching prospects, nurturing leads and closing sales? Large or small, our business can become better by becoming social not just from the outside (public facing networks) but also within (workforce engagement). But to harvest the rewards, we must first stop thinking of social as an end-in-itself. Social strategy and implementation is not an isolated and self-sustaining island. It lives within an ecosystem of interdependent business processes and activities, and plays an essential role in our overall business strategy. Where to begin? Think of an urgent need or a recognised opportunity and start from there. What is your business doing about it right now? How can social contribute to this need or opportunity? Which other business areas can have an immediate impact on it? How do these areas tie in with social or vice versa? Get your team, your partner, or your friends to sit with you, or give a shout out to your groups, and make a plan. Up next: After going broad and wide, I will go with a “lean social” strategy for small business. Content is the number one challenge for brands today. First, there’s not enough of it, and marketing teams continue to run out of creative and innovative ideas. Establishing a social business strategy will help identify other content sources, such as employees, partners and customers who love the brand and establish workflows for content ideation, creation, approvals and distribution. Additionally, a social business strategy will streamline content and ensure that it tells a consistent brand story across converged media—paid, earned and owned media channels.